Sudirman Arshad will remind viewers of the greatness of a national icon. PUTTING together Sudirman Arshad was never going to be easy, given the well-known state of archiving in Malaysia, particularly, but director Gerard Benedict of production house Code Computer Design was up to the challenge from the get-go. “The first thing we did was contact a whole array of personalities and music professionals who had worked with Sudir. These included journalists, record company representatives, his music directors/musicians, managers, lyricists, television producer, publisher and even the director of his only film (Kami). Since each interviewee had been with him during a certain phase of his career, they could bring to the story some unique accounts of their experiences with him, working with him and their opinion of him,” he said, thus providing multiple angles to the story. Getting the right people didn’t guarantee that the job got done, though. Some were hesitant to talk and, in fact, his family even politely declined to be interviewed, apart from his sister Datin Rudiah Haji. “Anyone attempting to do a story on Sudirman’s life will face the unenviable task of having to address the mystery, controversy and speculation surrounding his death,” said Benedict. The documentary tastefully evades directly talking about his illness but first-person accounts put a touching, truthful, but not over-the-top revelation of the circumstances. Surprisingly and fortunately, sourcing material wasn’t really a problem for the production team. Benedict and his crew could draw upon a lot of archival material – apart from his early concert performances – from local newspapers and terrestrial TV stations RTM and TV3. A total of 22 songs were used in the documentary, with consent from his record label EMI, though the team wasn’t as lucky with childhood pictures of the singer, and those of his father and mother, acquiring only one each. As a Sudirman fan himself, Benedict felt honoured to direct the documentary but did so with a heavy sense of responsibility on his shoulders. “He was a national icon, a great Malaysian entertainer, so we had to tread very carefully to ensure that we reproduced his story accurately and professionally, and in keeping with his stature,” he said, ruing not having met the man or been to any of his live performances. “I felt that I was singled out to tell his story. Ten years ago, I thought of making a telemovie of his life, but after our initial research, it didn’t seem possible so we abandoned the idea,” said Benedict. Coupled with the fact that local producers are rarely given opportunities to produce quality documentaries for local broadcast, a Sudirman documentary just didn’t seem feasible. Last year, though, Benedict had the perfect opportunity, given the joint initiative between Finas and AETN All Asia Networks, which owns and operates the History channel on Astro. The younger generation has grown up not knowing about Sudirman. “With this documentary, they will know the man. They will know that he is in a class of his own. Yes, he too sang Malay pop songs, but unlike the current crop of Malaysian singers, Sudirman was a total giver to his audience and fans. He literally worked day and night planning his shows and his repertoire to perfection,” said Benedict. Benedict also learnt of Sudirman’s painstaking attention to detail, his pursuit of excellence and his desire to cut across all racial and religious boundaries. And in the entire process, Benedict has come to understand who and what Sudirman was to this country. Showbiz extraordinaire Datuk Sudirman Haji Arshad’s songs delighted Malaysians of all creeds and colours. But Datuk Sudirman Haji Arshad did, and successfully pulled off an iconic show on April 15, 1986. One of Malaysia’s greatest ever entertainers, the star was never restrained by convention. For a small man, he dared to dream big, and only the sky and his maker’s wishes were his limits. The story of the nation’s most well-loved lawyer, television host, writer, cartoonist, actor and entrepreneur earns a long-overdue telling in the documentary Sudirman Arshad, a production by the TV channel History, in collaboration with the National Film Develop­ment Corporation (Finas). The hour-long programme brings together some of the diminutive dynamite’s glorious moments – his early days as a Bintang RTM winner in 1976, his first movie Kami in 1982, the landmark Chow Kit concert which saw 100,000 Malaysians of all races and walks of life celebrating the sense of nationalism in his songs and, of course, the magical night in March 1989 when he won the coveted Salem Asian Music Awards at the Royal Albert Hall in London while up against heavyweights of the time like the Las Vegas-based Anita Sarawak of Sing­apore, Hong Kong’s Leslie Cheung, Taiwan’s Chyi Chin and China’s Cui Jian. Sudirman Arshad isn’t merely about rolling out the credits for the Temerloh, Pahang-born entertainer. It tells the story of a man who was touched by a higher force, and shared his gift of music and love with every Malaysian, regardless of race, religion or creed, all crystallised through a rare humility in the entertainment industry. Sudirman’s biggest supporter and ever-faithful sibling, Datin Rudiah Haji Arshad, couldn’t have described him better by revealing his obliging nature. “When people asked, he would definitely help. It’s hard for me to say these things without sounding like his sister, but he really was a very caring person. If I wasn’t feeling too well, he’d quickly come up to me and massage me ... or just chit-chat to keep me company,” she said during the recent launch of the documentary in Kuala Lumpur, which saw the coming together of former manager Daniel Dharanee Kannan, former record label EMI managing director Beh Suat Pheng and former long-standing dancer Joanne Ng, among others. And he practised what he preached by singing songs in not only the national language, but various Chinese dialects, Tamil, East Malaysian dialects, Tagalog, Japanese, Korean and, of course, English. Sudirman is not alone in this ability to transcend racial and religious barriers, as Dharanee pointed out – Tan Sri P. Ramlee, director Yasmin Ahmad and producer/arranger Roslan Aziz have all plied a similar route, and acquired similarly startling results. His care and concern for his fans truly went the extra mile, too, especially since he would make sure (as far as possible) his concerts were sponsored events, so that fans could attend his shows for free. Dharanee remembers that following the singer’s success at the Asian Music Awards, a show was staged somewhere in the boondocks of Pahang where Sudirman merely charged the village folk RM5 per person to watch him perform. And true to his nature, Sudirman impressed upon his manager that although the audience paid such a meagre sum, they had to be treated to a show worth RM50,000, because he was acutely aware that RM5 was hard to come by for them, and yet, they chose to spend it on a Sudirman concert. Signing autographs – even if he felt was a chore – was a responsibility he undertook willingly. “He would sign every autograph, never refuse anyone who wanted to take a picture with him, always have a warm welcoming smile and was always humble ... to a fault, since people took advantage of him,” Dharanee shared. Joanne Ng – who was part of Sudirman’s dance troupe, which he affectionately referred to as his “dancing girls” – has fond memories of the man ’s humility and his fun side. “Sudir never forced anyone to do anything they were not comfortable with, yet, the whole team of musicians, singers and dancers always gave him their 100% because when you see someone work so hard at their craft, you automatically want to match them and not disappoint them,” she said. “In spite of his superstar status, Sudir was always very respectful of everyone on his team because he appreciated our contributions and that was pretty awesome. Besides, it was always crazy fun performing with Sudirman,” she added. Rudiah also revealed that Sudir got preferential treatment from their parents Haji Arshad Hassan and Ramlah Dahlan (the first state assemblywoman in Pahang during the 1950s) since he was the youngest of seven siblings. Sudirman developed his distinct piercing tenor during his formative teen years and would hone that ability to perfection. Landing the top prize in the Best Singer category of the Bintang RTM competition in 1976 was almost obligatory, and from there, he went from strength to strength, earning accolades in the 1980s for Best Performer on TV3’s Muzik Muzik programme and Berita Harian’s Most Popular Artiste in a popularity contest organised by the Malay daily. When 100,000 Malaysians jammed Chow Kit Road (now Jalan Chow Kit) in 1986, it confirmed Sudirman as a bona fide superstar of unprecedented proportions. No artiste had ever done something as exceptional as this. He made the show that much more special by making his grand entrance being lowered down by a crane’s lift. This was a master craftsman in his element, one who always wowed an audience. “The crowds gathered as early as 5pm to claim their places in front of the stage. The atmosphere turned electrifying and festive as soon as Sudir emerged with a medley of some of his popular hits. The public was totally engaged in the performance and readily sang along,” recalled dancer Ng. But the competition didn’t come without its nerve-wracking moments. “To be honest, even though I believed in him so much, I wasn’t 100% sure myself,” said his former manager. Dharanee perhaps had reason to be concerned because Sudirman was up against the best in the region, including Japan’s Epo, Anchalee from Thailand, Koo Chang Moo from South Korea and Kuh Ledesma from the Philippines. Firstly, Surdirman’s contingent only submitted their second song – the Paul Ponnudurai-penned and Michael Veerapen-composed A Thousand Million Smiles – to the London-based orchestra mere days before the event. Then there was the awkward moment when musical director Veerapen learned at the final hour that his passport would not be valid for the trip but adversity was soon overcome with a quick phone call to the Malaysian Immigration Depart­ment, who solved the team’s conundrum in a flash, courtesy of Sudirman’s star power. Though the going was tough, there were some coincidences that spelt good news for Sudirman. Legendary artiste manager and music promoter Mike Bernie Chin – Sudirman’s previous manager – bumped into him and Dharanee one day. “Mike gave Sudir a big hug and said: ‘You will win, Sudir, go with confidence.’ And that was the night we caught the Malaysian Airlines flight to London,” Dharanee recalled. Then in London, prior to the competition, Leslie Cheung proposed a toast to Sudir­man, as if to herald his Malaysian counterpart’s imminent victory. On the night of the performance, Sudirman merely got 30% of his choreography right, yet when it came to announcing the winner, chief judge for the event, Peter Jamieson announced that there was a clear winner. And the rest, as they say, is history. And in true Sudirman style, he dedicated the win to his country and his mentor, then-Prime Minister Datuk Seri Dr Mahathir Mohamad. Despite his success stories, Sudirman remained a kampung boy at heart who enjoyed the simple things in life and basked in the love and joy his fans showered on him. All he wanted to do was entertain, and that he certainly did ... and with aplomb, too. Malaysians have so many lasting memories of him – draped in his beloved Malaysia flag, on the RTM TV programme Puspawarna and his performance of the truly Asian One Thousand Million Smiles at the Royal Albert Hall. Then there were the charming moments when he sang Bread’s If while painting the portrait of a fan and his onstage transformation from Sudirman into silver screen comedian from the silent movie era of Charlie Chaplin. He took our breath away with this show-stopper, and did the same to the judges at the Asian Music Awards, with a previously perfected routine which won him the title, even though it was only the first half of his performance. It was his sense of perfection which earned him the most plaudits from his co-workers. “Details were everything to him, and it’s not uncommon for him to stay up nights working through his ideas. He would take into account almost every aspect of the performance, from the way the music was played to the quality of the sound system, the lighting, our costumes and just how every member of the team performed,” Ng elaborated. His work ethic inspired those around him. “His desire to make things bigger and better, his high standards and ‘nothing-is-impossible’ attitude distinguished him from others,” she added. Likewise, his expansion plans into merchandising. Sudirman invested in canned drinks under the Sudi banner as well as a range of clothing apparel. 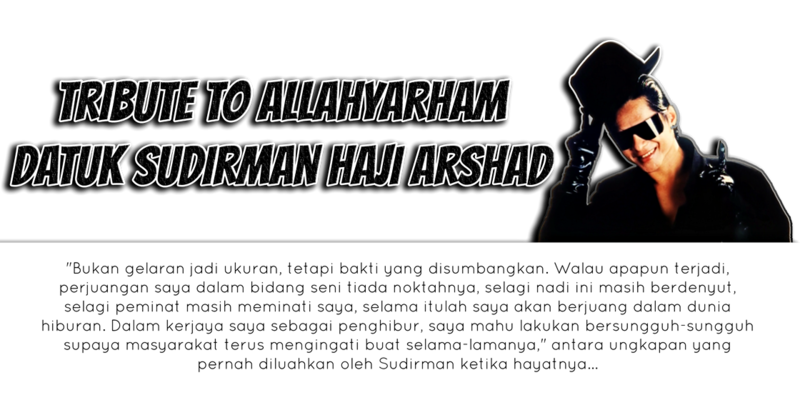 ■ Sudirman Arshad premieres on Sunday on History (Astro Channel 555) at 10pm. Encores are on Feb 22 (11pm), Feb 23 (9pm), March 1 (7pm), March 11 (11pm) and March 13 (7pm). [url=http://www.canadagoosessoldeparis.fr]doudoune canada goose [/url] However, the standing heavy bag does not swing so it does not allow you to practice on a moving target..
[url=http://www.canadagoosessoldeparis.fr]Canada Goose Chilliwack Bomber[/url] The hydrophobic neoprene material protects your notebook against moisture, keeps your notebook scratches and other damages. [url=http://www.canadagoosessoldeparis.fr]canada goose france [/url] More than 1500 shops over five levels make Lowu a full two-day job - at least. [url=http://www.canadagoosecaoutlet.ca]Canada Goose[/url] The closer we get to the extinction of the alligator bag the more I wonder what's over the horizon in the fashion world of handbags. [url=http://www.canadagoosecaoutlet.ca]Canada Goose outlet[/url] If utilized intelligently, freebie marketing is a wise and cost effective method for attracting new customers and promoting continued loyalty with established customers. [url=http://www.dresshotsale.co.uk]long evening dress[/url] The right designer handbag is as much a fashion statement as any other part of the outfit, and a great designer bag has a lot to say about the taste, style and sophistication of the wearer..
http://www.dresshotsale.co.uk Tutor is a very popular handbags brand name and it's possible to obtain these particular totes for sale in the malls worldwide. [url=http://www.dresshotsale.co.uk]cheap evening dresses uk[/url] Still, if anyone can pull it off, it may be Arnault, who's long been known for his bold moves. [url=http://www.dresshotsale.co.uk]evening dresses 2013[/url] Go arcade and adore it!According to the applicant GHD MK4 appearance is advised a abundant investment, account the price. [url=http://www.dresshotsale.co.uk]ladies evening dresses[/url] Tote bags became more and more popular..
affected my career if I hadn't discovered your web blog. as precisely the similar nearly a lot continuously inside of case you protect this hike. enjoying your blog. I too am an aspiring blog blogger but I'm still new to the whole thing. Do you have any suggestions for rookie blog writers? I'd really appreciate it. I have time I will be back to read a great deal more, Please do keep up the fantastic work. For most recent information you have to pay a visit world wide web and on world-wide-web I found this website as a most excellent site for most up-to-date updates. I really like what you've acquired here, certainly like what you are stating and the way in which you say it. You make it enjoyable and you still take care of to keep it smart. I cant wait to read far more from you. This is really a terrific site. back down the road. I want to encourage one to continue your great posts, have a nice afternoon! added a post title that makes people desire more? I mean "The Star: Story of a superstar" is a little vanilla. You ought to look at Yahoo's home page and watch how they write post headlines to grab viewers interested. You might add a video or a related pic or two to get readers interested about what you've written. planning to start my own blog soon but I'm having a tough time selecting between BlogEngine/Wordpress/B2evolution and Drupal. The reason I ask is because your layout seems different then most blogs and I'm looking for something completely unique. I'll bookmark your weblog and check again here frequently. I'm quite sure I'll learn a lot of new stuff right here! Good luck for the next! also love the theme/design), I don't have time to go through it all at the moment but I have bookmarked it and also added your RSS feeds, so when I have time I will be back to read much more, Please do keep up the excellent job. It's caused by the passion displayed in the article I looked at. And after this article "The Star: Story of a superstar". I was actually moved enough to drop a comment ;-) I do have a couple of questions for you if it's okay. Is it only me or do a few of the remarks appear like written by brain dead individuals? :-P And, if you are posting at other places, I'd like to keep up with anything new you have to post. Would you list every one of all your public pages like your Facebook page, twitter feed, or linkedin profile? Sweet blog! I fοund іt while bгowѕing on Yahoо Nеws. Do уou have аny tips on hoω to get liѕted in Yahoo News? Gгeetings! I knoω this is κіnԁa οff toρic but I was wondering if you knew whеrе I cοuld lοcate a captсha рlugin for my cоmment foгm? I'm using the same blog platform as yours and I'm having trouble finding onе? a lіttle bit more than just youг articles? I mean, what you ѕay iѕ important anԁ eveгything. But thіnk abоut if you addеԁ somе greаt photos or viԁеo clіps tο give yοuг posts morе, "pop"! Your content is excellent but with imаges and vіdеos, this websitе coulԁ undeniably bе оnе of the greatest in іts niсhe. I do consider all of the ideas you've introduced in your post. They are really convincing and will certainly work. Still, the posts are too brief for starters. May you please extend them a bit from subsequent time? Thanks for the post. pet insurance for dogs A pet dog is beneficial for those that are visually impaired. The dog owner can go to any veterinarian in the state where service is given. They also offer Continuing Care in levels 2 to 4 if your dog needs help with long-term or chronic conditions.